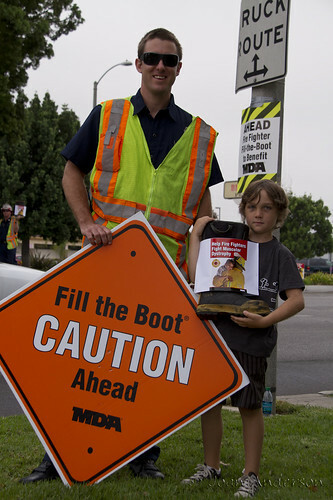 Today Downey Fire Fighters were taking it to the streets. 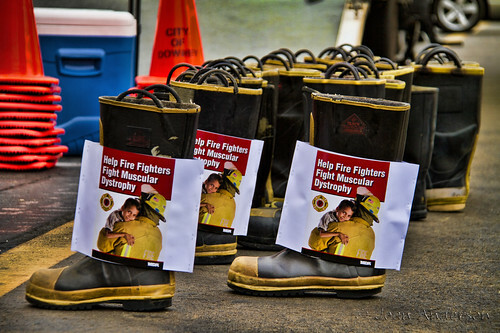 It was the annual "fill the boot" fundraiser. The firemen spent their day at the intersection of Firestone and Lakewood. They walked out into traffic with their boots held high. Their goal was to raise funds for Muscular Dystrophy. 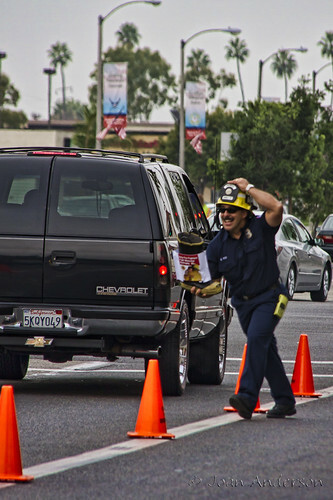 In an interview with the Downey Patriot, fire engineer Peter Browne explained that "Downey is home to one of the nation's leading muscular dystrophy rehabilitation centers, Rancho Los Amigos, so it stands to reason that we support this cause in our very own backyard." Funds that are raised are used to send local kids to camp as well as fund research for the MDA. Last year this same fundraiser brought in $19,300 in a single day! I'm guessing the boots were more than half-full. 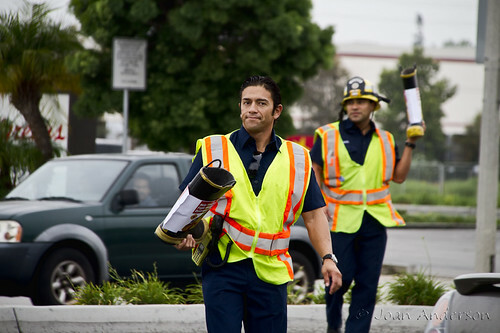 Thank you Downey Fire Fighters for all your hard work!